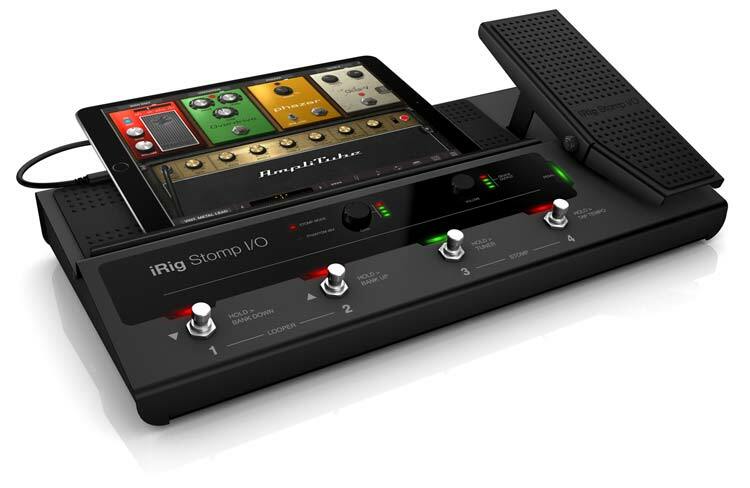 iRig Stomp I/O is a brand new type of USB pedalboard controller that integrates a professional, high-resolution, MFi certified audio interface with MIDI input/output for iPhone, iPad, Mac and PC. It comes bundled with state-of-the-art guitar, vocal processing, and recording software for flexibility and usability, both live and in the studio. 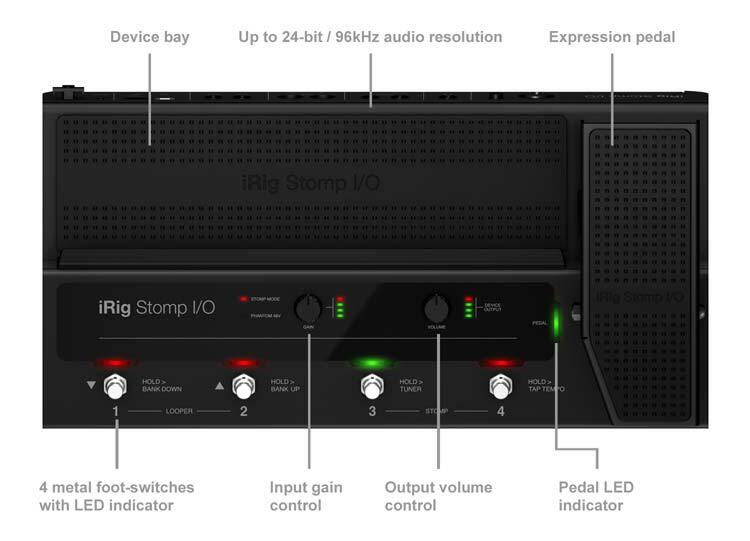 Sturdy and robust, yet easily transportable, iRig Stomp I/O features four onboard metal stomp switches plus an expression pedal with a switch, all with LED indicators. To further extend its control possibilities, you can connect up to 2 additional switches or pedals. 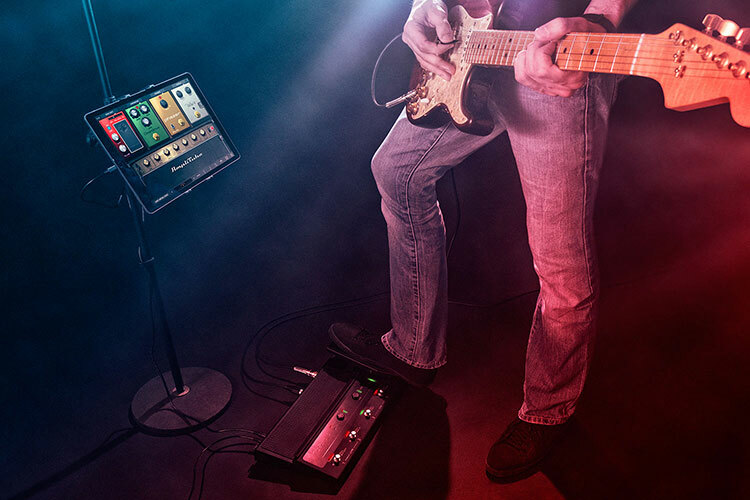 The MIDI IN/OUT ports make it possible to seamlessly control external processors when iRig Stomp I/O is used as a stand-alone MIDI foot controller, without any device or computer connected to it. The Neutrik® 1/4" XLR combo jack accepts instruments and microphones including condenser mics with switchable 48V phantom power. The balanced stereo output connects to an external amp, mixer or PA, and a 1/4" stereo headphone output is available for silent monitoring. The input gain and volume output knobs are easily accessible on the front panel, each with its dedicated LED VU-Meter indicator, for the quick-and-easy setting of levels. 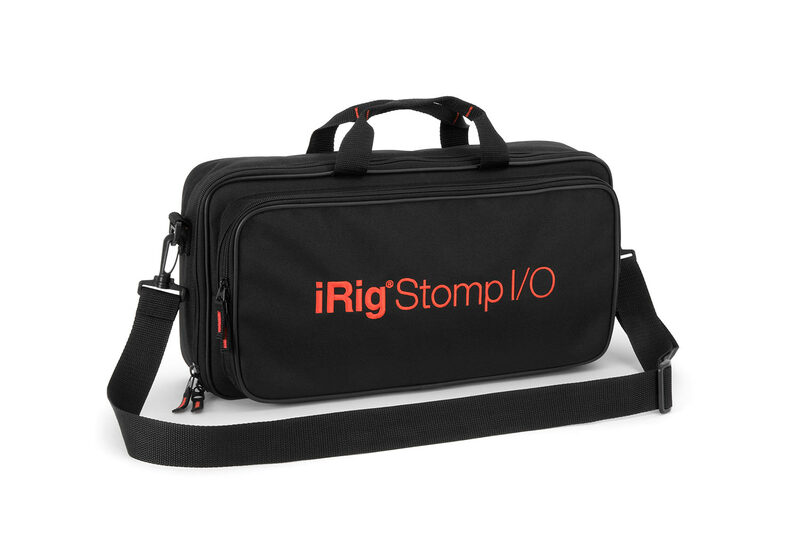 iRig Stomp I/O also takes the concept of versatility to a whole new level, by combining a smart, hi-tech hardware system with an incredible collection of complete, professional software and apps worth over $/€800. a bulky and costly hardware setup. The integrated headphone output allows you to monitor the signal during tracking or when practicing, while the balanced stereo outputs can be used to send the signal to an amplifier, a mixer, a PA or powered speakers. 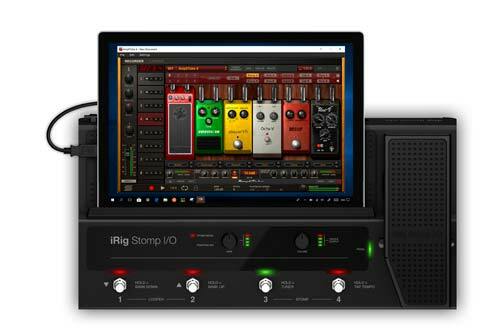 Bundled with over $/€800 worth of professional software, iRig Stomp I/O encompasses the right tools for all kinds of musical needs. 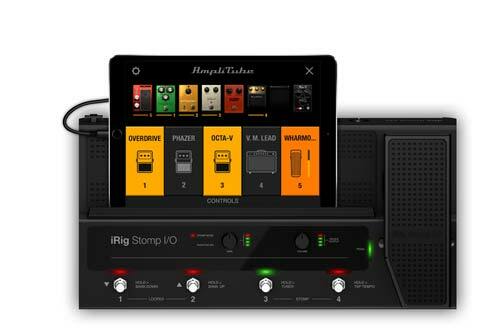 iRig Stomp I/O puts all the power of AmpliTube 4 Deluxe – the world’s best sounding guitar amp and FX modeling and vocal processing software right at your feet, with a collection of over 160 gear models for Mac/PC and 70 for iOS. Electric guitarists and bass players can unleash the full power of AmpliTube, on Mac/PC as well as on iPhone and iPad, while acoustic guitarists can shape their tone with AmpliTube Acoustic for iOS and singers can experiment with VocaLive and give their vocals some mojo with Mic Room. Plus, anybody can post-process their recordings using four select processors from IK’s flagship T-RackS 5 mixing and mastering suite (the White 2A, Black 76, and VC-670 compressors, the EQP-1A equalizer and Mic Room, for authentic analog studio sound). Extend your reach. Xpand your audience. 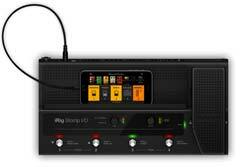 Whether in the studio or on stage, sometimes you might want a little more freedom to position your device. 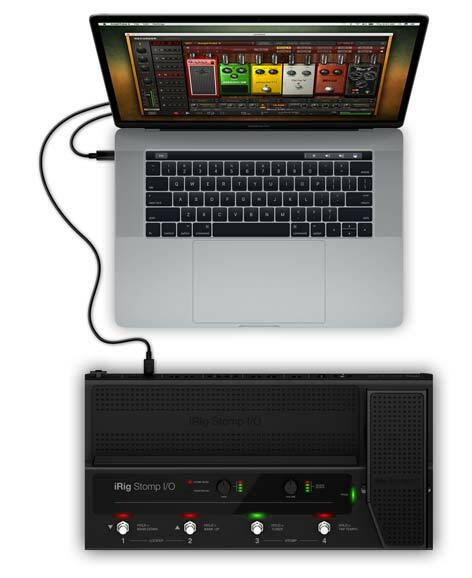 IK has you covered with a durable Mini-Din extension cable, letting you position your iPhone or iPad away the iRig Stomp I/O’s device bay. Whether you want it on a tabletop or fixed to a mic stand, IK’s iKlip range will securely and easily let you mount your device wherever you need it.